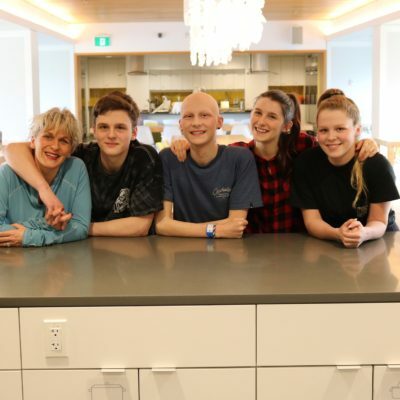 We first introduced you to Tristyn Ranger and his family in May 2017, while Tristyn was spending his grad year of high school undergoing cancer treatment far away from home. 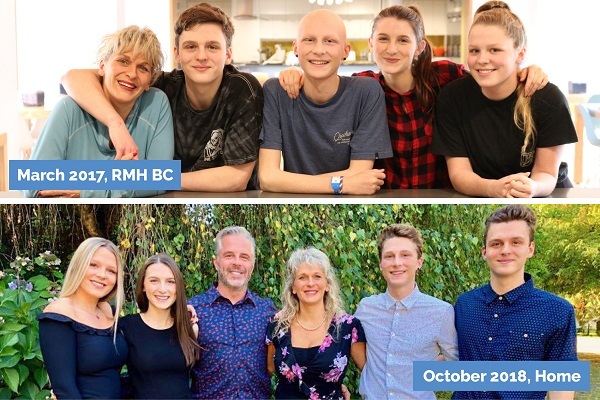 For Tristyn, RMH BC helped to bring his family together so they could support him when it mattered most. In the fall, Tristyn and his twin sister Sierra began their first year of university at UBC Okanagan. Tristyn’s older sister Athena, who had spent a semester at UBC in Vancouver to be closer to him, was able to return to the Okanagan as well. Now, all four Ranger siblings are focusing on school. Tristyn’s little brother Ayden is at the top of his Grade 11 class and loves math and science. Sierra is working toward a degree in management, and Athena is majoring in biochemistry with plans for a career in research. Tristyn is turning his experiences into a career. After he gets his Bachelor of Science, he plans to go to medical school and become a pediatric oncologist or neurologist. When not studying, the Rangers work at Cactus Club (and enjoy getting dinner and drinks with their staff discounts). Their favourite things to do as a family are taking trips to Mexico or just spending time at home together. Thanks to you, kids like Tristyn and their families have a home away from home. Donate today and keep a family like the Rangers close.